US President Donald Trump says he has been briefed on a recording of Saudi journalist Jamal Khashoggi's murder - but will not listen to it himself. "It's a suffering tape, it's a terrible tape," he told Fox News Sunday. The CIA has reportedly concluded the powerful Saudi Crown Prince ordered the killing but the White House is yet to endorse that assessment. 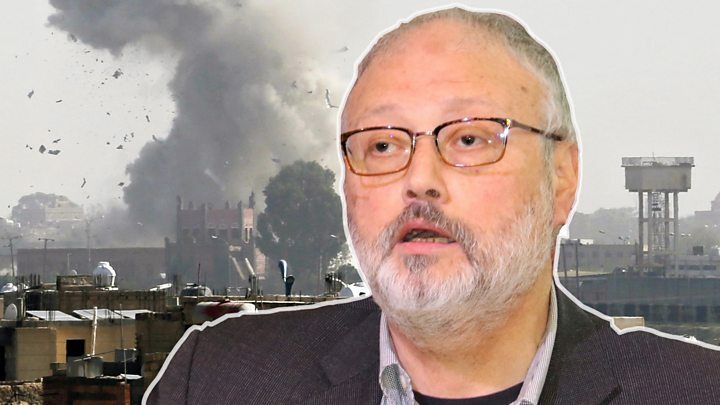 Saudi Arabia has called the claim false and denied Crown Prince Mohammed bin Salman had any knowledge of the murder. Khashoggi, a prominent critic of the Saudi government, was killed after entering the Saudi consulate in Istanbul on 2 October to obtain a marriage document. Saudi Arabia says Khashoggi was killed as the result of a rogue operation. Even supporters in the US Congress have been pressing President Trump for a tougher response to the killing, but with Saudi Arabia a key partner in the Middle East this may be something Mr Trump is reluctant to do. Why won't he listen to the tape? The US president said he did not have to, given he had been fully briefed on its content. "I know everything that went on in the tape without having to hear it," he told Fox. "It was very violent, very vicious and terrible." The reportedly shocking and incriminating recordings were shared by Turkey with the US and other western allies. In his interview, President Trump said that Mohammed bin Salman had told him he had no knowledge of the killing. Mr Trump added that it may be no one will find out who was behind the killing, and pointed to US sanctions imposed on individuals allegedly involved. "But at the same time we do have an ally and I want to stick with an ally that in many ways has been very good," he added. 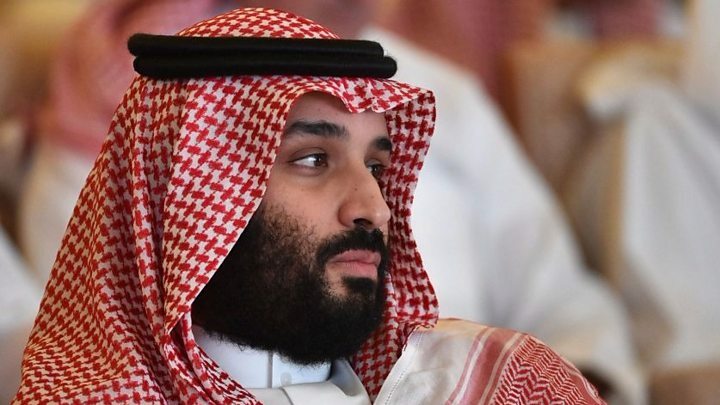 Although the CIA is not said to have direct evidence linking Crown Prince Mohammed bin Salman to the murder, officials reportedly believe it could not have taken place without his approval. But on Saturday the State Department said the US government was yet to reach a final conclusion on the killing, with "numerous unanswered questions" remaining. President Trump has spoken to the CIA on its findings. His Fox interview was recorded before news of the CIA's findings emerged and he said his administration's verdict was imminent. "We'll be having a very full report over the next two days, probably Monday or Tuesday," he told reporters. An ally of Mr Trump, Republican Senator Lindsey Graham, said he did not believe the Crown Prince's denials. "If he is going to be the face of Saudi Arabia going forward, I think the kingdom will have a hard time on the world stage," he told NBC. Khashoggi murder: Is Saudi Crown Prince Mohammed finished? Jamal Khashoggi: Who is murdered Saudi Journalist?